Plot: In SpongeBob vs. The Big One: Beach Party Cook-Off, Mr. Krabs has signed up to compete in the cooking contest that will determine who will cater Jack Kahuna Laguna`s Big Beach Party. Players will be tasked with assisting SpongeBob, Patrick and friends in running the Krusty Krab and training Plankton's cousins in the creation of the best deep-sea dishes. 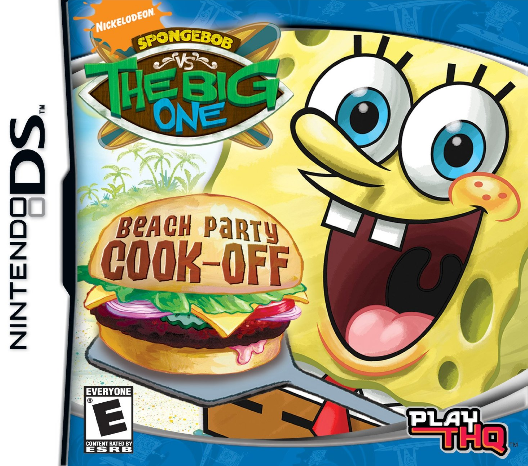 Utilizing the Nintendo DS touch screen and stylus, players and up to 3 of their friends via DS multi-card play, will serve more than 100 different zany entrees, such as a perfectly done Krabby Patty, Anemone Meatloaf, Fried Seaweed Sandwiches and other Sponge-I-Fied foods.